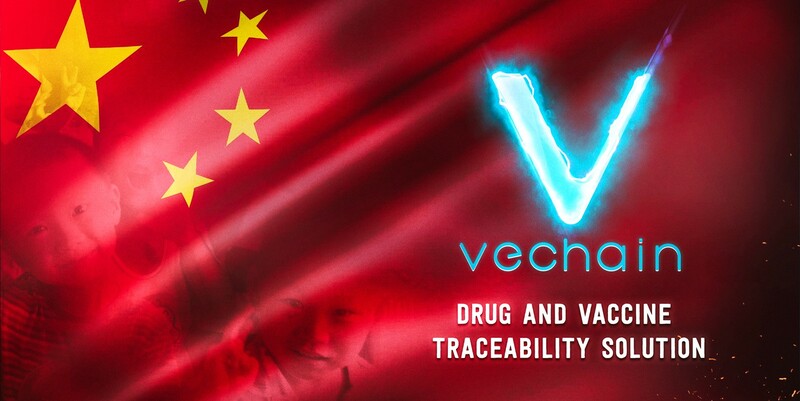 VeChain (VEN) has offered its state of the art drug and vaccine traceability solution for over 30 million people, in its bid to combat the pharmaceutical scandal in China. Recently, China’s Food and Drug Administration (CFDA), after investigating vaccine manufacturer Changchun Changsheng Biotechnology, discovered the company was involved in the obscene act. The investigation resulted in the authority revoking the company’s license for human rabies vaccines, and it afterward initiated a recall for all unused vaccines produced by the company. During the investigation, it was unearthed that the Chinese vaccine producers manufacture hundreds of thousands of uncensored, faulty and falsely documented vaccines to Chinese school children. Now, VeChain, in partnership with DNV GL, is deploying blockchain powered technology to kick-start an advanced drug traceability, monitoring, security, and auditing. VeChain, which is the only approved blockchain traceability provider in Shangai deemed it necessary to offer China traceability requirements by 2020. At the moment, VeChain’s traceability solution is being developed and tested in Shanghai, and will soon be rolled out across China. In a release by the VeChain, it was reflected that the blockchain’s drug and vaccine traceability solution coupled with its highly sensitive IoT devices, capture and record all data involved in vaccine manufacture and transport. It also includes getting vaccines from manufacturers, storage facilities, cold chain distribution, hospitals, and even usage. While ensuring the reliability of the data source, VeChain’s solution also eliminates the potential risks in the whole process and ensures that vaccine records are immutable and permanent. No doubt that the VeChain’s vaccine traceability solution will alleviate future vaccine manufacturing scandals with its accurate backtracking and accountability, targeted recall and disposal, real data-based early warning and risk management, and its exclusive ID for each vaccine. “The VeChain vaccine traceability solution will be shown alongside other VeChainThor Powered solutions at the China International Import Expo — one of the highest-profile import/export conferences in the world,” the statement has said. VeChain and DNV GL, who are both participating in this event and showcase were specifically invited by the Chinese government. During the showcase, government of the country, will show that they are backing the partnership of VeChain and DNV GL. Interestingly, President Xi Jinping will also be in attendance. Earlier, Ethereum World News reported that Waltonchain (WTC) suggested a blockchain solution that will nick the habit in the bud, stating that it will provide free of charge traceability solutions for vaccine enterprises, government and hospitals in the country. The post VeChain (VEN) Unveils Drug and Vaccine Traceability Solution For Over 30 Million People appeared first on Ethereum World News.